Get ready for the start of the 2014 college football season! 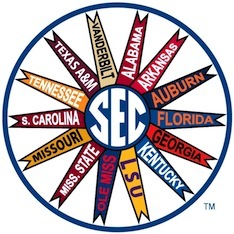 Join Southeastern Conference alumni in New York City for the 18th Annual SEC NYC Season Kickoff at American Whiskey (247 West 30th Street between 7th and 8th Avenues). For the past 17 years, SEC alumni in tri-state area have kicked off the fall together on the Wednesday before the college football season. This year's party at American Whiskey, home of Georgia's NYC Chapter's game watch parties, is set to feature beer and bourbon specials, highlights from the previous season airing on the dozens of HD flat screens and great music to get everyone ready for the season ahead. Make sure to come meet other SEC alumni from around the area and get ready for the start of the most wonderful time of the year!